Earlier in June our accessibility lead Andrew Arch spoke at the Inclusive Design 24 online event about our move from WCAG 2.0 conformance to user-centred design. Accessibility has been a government priority for many years. The release of the Web Content Accessibility Guidelines version 2.0 (or WCAG 2.0) set a new standard for accessibility. But for those of us who work in government, there is more to consider. Accessibility must go beyond the technical requirements. As I covered in my presentation for Inclusive Design 24, for a product or service to be accessible it must consider all users’ needs at every stage of development. 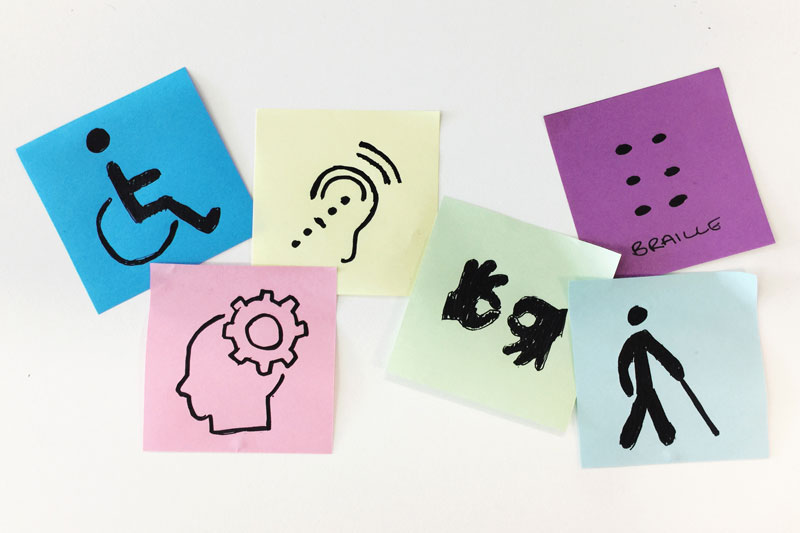 The Digital Service Standard has been designed with accessibility as a core focus. It aims to help make government services easier, simpler and faster for all users — including those with disability. By understanding and addressing user needs, we improve the user experience for everyone. The Digital Service Standard continues to require WCAG 2.0 conformance for all government digital services. But, it also requires teams to go further. The Digital Service Standard applies to all new and redesigned government services (informational and transactional) and all existing high volume transactional services. As the standard is still new, we’re yet to see the true benefit. However, it’s exciting to think that we will soon see significant improvements to the accessibility and usability of government services for people with disability. When we’re involved from the start of the project, the benefit is increased. We’re able to ensure that accessibility gets built in from conception through to design and development. This means accessibility doesn’t need to be retrofitted to make a project conform with the standard. Often this can be a considerable expense — estimated at up to 30 times the cost of incorporating it progressively. If everything we build needs to be accessible, accessibility needs to be part of our culture. This means considering the needs of people with disability throughout the development of a service. Often this also reveals insights into the non-digital side and how they could improve. Again, it’s not just the technical requirements we need to think about. Building a culture of accessibility also means making it a priority for all disciplines involved in delivering a service. This includes everything from user research through to content development, interaction and front-end development, as well as usability testing. It is also important to be aware that accessibility is an issue for policy too. It is easy for policy to impact the accessibility of a service through the requirements it places on delivery. Involving policy people as a part of the multidisciplinary team and continuing to test early and often can help to overcome this. If you’re building a digital service for government, you can use the Digital Service Standard to help make your project accessible. There are some criteria which are critical to meeting the needs of people with disability. 1. Understand user needs – include users with different needs. For example, needs arising from disability, cultural diversity, literacy and remoteness. This research can also reveal issues with the policy behind a service that might need addressing. 3. Agile and user-centred process – include users with different needs in all stages of development and prototyping. 6. Consistent and responsive design – ensure design is responsive on different devices and follows accessibility best practice. 9. Make it accessible – make sure your service is accessible and the product or service is tested with people with disabilities. 10. Test the service – explore using automated testing, including accessibility testing, when a project is put into the field. 12. Don’t forget the non-digital experience – ensure that people who use the digital service have alternatives and that it’s easy to switch between. Including people with disability during all stages of development will ensure all users can interact with government, when and where they choose. This is part of our commitment to make government services simple, clearer and faster for everyone. Andrew Arch was the lead on accessibility and inclusivity at the DTA.